The last Year of the Dragon, which occurred in 2000, was fraught with fear. There was a lot of hand wringing about the collapse of our technological world, the Y2K bug and other millennial prophecies that turned out to be more hype than bite. The Year of the Dragon is again just around the corner and fear and trepidation are once more an issue. This time it’s the Mayan Calendar and the alleged 2012 Armageddon prophecy. Is the Chinese Year of the Dragon, which comes around every 12 years, truly something to be feared? Unlike the wicked, fire-breathing dragons of Western mythology, China’s celestial dragon symbolizes potent and benevolent power. Dragons are ancient, majestic, wise, and intelligent, and Dragon years are considered particularly auspicious for new businesses, marriage and children. Dragon years also tend to boost individual fortunes and the world economy. It’s also true, however, that all five of the Chinese Dragon years — Wood, Fire, Earth, Metal and Water — tend to magnify both success and failure. So while they can mark huge achievement, disasters can be equally immense. The Year of the Fire Dragon (1917, 1976, and 2036) typically wreaks the most havoc. However, the Year of the Water Dragon (1992, 1952 and 2012) is noted for its calm, visionary intelligence, and balance of right brain creativity with left brain logic. 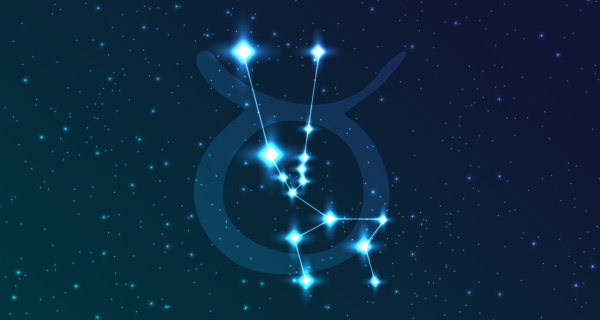 What influence might the Water Dragon, which rules from January 23, 2012 to February 9, 2013, have on the powerful energies already anticipated at that time? Like all Dragons, the Water Dragon is an innovative, fearless leader. But the Water Dragon is also far more sensitive to others’ needs, and is more likely to be progressive and diplomatic, as well as socially and environmentally conscious. Because Water bestows a more peaceful disposition, this Dragon will act wisely and intelligently, and unlike his fellow Dragons, is willing to set aside his ego for the good of all. This Dragon is a successful negotiator, and while he is adept at marketing, he also knows how to apply force skillfully when necessary. On the down side, the Water Dragon sometimes forgets to build a solid foundation for his grand plans, and he can hold on too long to pet ideas and projects, and thus create a famous Dragon-sized disaster. If you subscribe to the dawn-of-a-new-era theory of 2012, then it’s easy to see how the influence of the Water Dragon will increase the likelihood of success for progressive movements gaining momentum all across the globe. Energy conservation and green energy-producing technologies, curtailing Global Warming, challenges to multinational corporations, attention to world hunger and the renewed health of the oceans and sea creatures will all likely fare well. If your expectations tend more toward disaster, then you might expect tsunamis, hurricanes, monsoons and other weather extremes to be in the headlines. But of all the Dragon years, the 2012 Water Dragon is most likely to bestow the Chinese Five Blessings of harmony, virtue, riches, fulfillment and longevity, adding even more weight to the growing belief that 2012 will be about breakthroughs, not disasters. How will the Year of the Dragon affect your life? Get a psychic reading to find out. Call 1.800.573.4830 or click here now. According to the Chinese Zodiac:all 5 of the Chinese Dragon years — Wood, Fire, Earth, Metal and Water — And 12 Animals signs. The Year of the Water Dragon (1892, 1952 and 2012). However, I know that 1992 is not a Dragon year, But 1892 is the year of Water Dragon! It happen in every 60 years! Water Dragon is the best for male who is born in that year! Thank you for a most positive write up. I’d like to put this on my blog http://irene-turner.com with all the proper link backs etc. Please let me know if that works for you. I love the upbeat view! The year of water dragon is 1892,1952 and 2012. Every 60 years. Their are 5 elements at 12 years. Like so many others I had a really bad year last year. I am a wood dragon born 1964 so I am praying for a much need positive year. Dragons are the best, may luck be on our side and good fortune. Correction: 1992 is the year of the Monkey. Yes, it is. It is my birth year btw. But really how powerfull was 1964? I know that 1992 is not a Dragon year, I think it’s the year of the Monkey. Anyone to verify this? for those asking whether or not it will be a good year, again, find out your whole birth chart and the elemental balance within it. you need to know what your lucky element is, as well as your wealth elements. if the year’s elements (Yang/Strong water, and wood) are favorable to your lucky or wealth element, then it will be a good year. it’s not enough to know the element of your birth year since the balance of elements within your chart will point to different lucky elements. go to geomancy.net or any other site that offers free ba-zi chart to find out your balance of elements. as I’ve said, those with Strong Earth elements will do well, as well as those with wood elements (both strong and weak wood). those with fire elements will not do so well unless your chart calls for a decrease of fire element. if you don’t find out if your element is in productive cycle or reductive cycle (for those with strong element) with the year’s prevailing elements then you will not know whether it will be an auspicious year or not. all you dragons must think and act positively and be aware of opportunities and and knockings on our spiritual doors–otherwise a fantastic year becomes a illusional year when we dont open the doors of opportunity banging hard on our doors. we must be patient and look at all our choices and listen to our heart and our soul(SPIRIT) BEFORE WE MAKE A CHOICE. ADRIAN–AN OLD WATER DRAGON 1952.
be receiving and giving in spirit–that is the true path of being. 1952 Water Dragon May Baby looking forward to a fabulous year!! I was born in the year of Fire Dragon (1976). This year is Water Dragon. Water puts out fire. Does this mean I won’t be too lucky? Can someone tell me if this will be a bad year for the fire dragon? and what sort of challenges will come up? know your lucky element (the element that balances your chart) and you’ll know if the incoming year is good for you or not. I am a Strong Eart Rooster, but my lucky element is metal, water is my wealth element. the Strong (yang) Water Dragon year will be good for Strong earth animal signs as well as those with water luck elements and/or wealth elements. earth dragon wanna view it now…..
2012 isn’t a Water Dragon year, it’s a Fire Dragon year. As a Fire Dragon, I do hope the world/planet and its’ people get their sh*t together. Before I lose my personal sh*t.
I am very excited for this year as a water Dragon I am looking forward to it. female water dragon…what do you want to know? This is the Best Year for Dragon because for LAST 2 years we Lived “Internalized” lives. In 2012 we will experience and “Externalize” the thoughts that we were praying for and manifesting. 1952 Water Dragon. I have had a strong sense for a while now that this will be an amazing year. 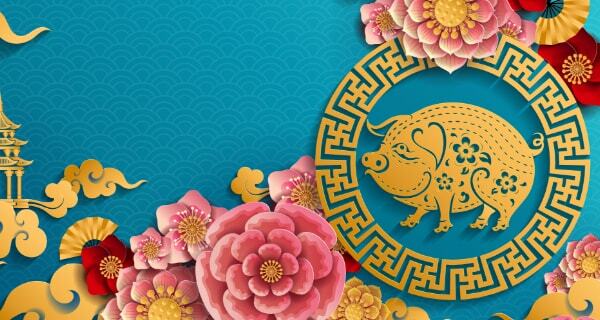 According to the Astrology Zone website, those born as Aries/Water Dragon in 1952 entered an upward-mobile phase (last May/June for me) that only occurs every 85 years so the positive potential of this new year is predicted not only in Western Astrology but also Chinese Astrology. Very exciting to have this also confirmed by Verbena. You want a drogon lady to talk to? 76 Fire Dragon…. Can’t wait to see what 2012 brings!!!! Im a wood Dragon and i can’t wait for the rabbit year to end, the last two years have been so hard, i know better things are ahead i can feel it, love beening a dragon!!! I hope this will be a great great year for me :’) 1988 earth dragon! I’ve had loads of hardships in the past years esp. 2011 lol may God help me. Pingback: Happy 2012 to Everyone! Yes just found out 2012 is the year of the dragon….wow this is gonna be such a lucky and powerful year even more so for us dragons. I doubt it will have much affect on fire dragon as the person above questioned other than maybe give us a sense of calmness. 4 more days to go…so excited! I hope everyone has a super amazing year coming! 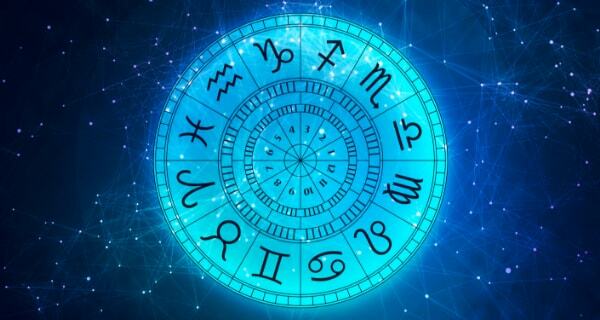 Its the only mystical animal is the horoscope and with all the talk about 2012 and the conscious shift that gonna happen….this is will be specular! What’s even more interesting is Chinese new year falls on a full moon….wow crazy! On the 23rd of January some serious meditation/connecting, celebrating is going to happen. The best year coming is only a few days away…our new year falls on the first quarter moon…well for Calgary. Maybe this sounds weird and all and slightly out to lunch but its still pretty interesting and I’m looking forward to it with every goose bump on my body >>> and I actually have goose bumps right now. This truly so exciting and I can agree 2011 hasn’t been the best year forme either. Dragon years are usually transformative for me – born in 1952 – the 1976 and 2000 years were especially so. I am wondering what 2012 will bring a water dragon. I could use some luck and hope for another leap forward – in the right direction, that is. I whisper the LOrd to make it real ,all the good perceptions of the psychic,My mom was born on 1964,I believe this will serve as her inspiration all throughout.Sounds great ,still hoping for the best of the best for her. Yes looking for a better year and expect to prosper with the Lord who made me…..it’s time! 2011 has been such a rotten year. I really do hope the powers that be will make 2012 a better year. Hello fellow water dragons, I am happy to say goodbye to 2011 and step into The year of the Water Dragon. I feel anticipation for good change and personal peace I can share with the world. Is this good news or bad news for a fire dragon (1976)? Water seems to be the source of all my discontent (surrounded and trapped by it) so I’m guessing bad news? Good deal! I’ve been waiting for this year for a long time! Born in 1952, I’ve always wanted to see how a thoughtful and compassionate Dragon reacts to Water Dragon year….